Vesper has this week unveiled a new microphone they have created for consumer electronics in the form of the Vesper Quiescent-sensing MEMS Microphone which when fitted to an electronic device requires nearly zero power to function. Watch the video below to learn more about the latest microphone created by Vesper and how it may be able to help extend the battery life of our everyday devices in the near future. Vesper’s newest piezoelectric MEMS microphone the VM1010 has been designed to requires a draws of only “3 µA of current while in listening mode.” says Vesper. What if your always-on listening device can be activated simply by voice or noise, without even pressing a button? Better yet, what if a microphone inside the device switches but draws practically zero power? An acoustic “event-detection” device like this — with battery life that spans not months but years — could open a myriad new applications both for consumer electronics and a host of industries. The thing that makes this scenario possible is “an acoustic sensor that uses sound energy to wake a system from full power-down mode,”. Explained Matt Crowley, CEO, Vesper. 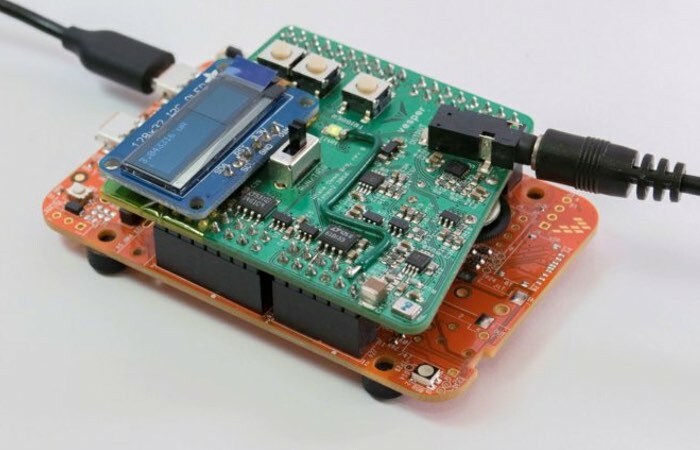 Vesper’s quiescent sensing microphone is a pencil-point sized piezoelectric MEMS device that can activate idle electronics while drawing almost zero power in standby mode – using just voice input.